Vietnamese, Chinese, Thai, Indonesian and Malaysian food have a party every day. 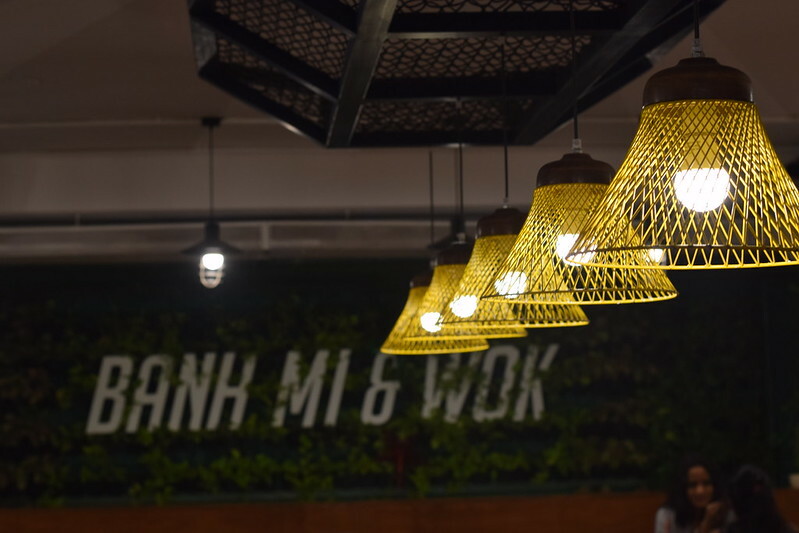 The venue is Banh Mi & Wok in Indiranagar. 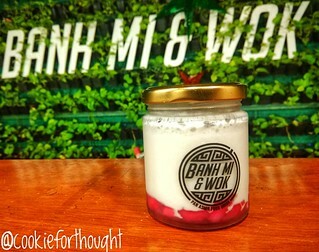 Banh Mi is the Vietnamese word for bread and wok is a vessel used primarily in Chinese cooking. It’s a very small outlet next to Toit. The logo on the green wall and cute little lights are such a highlight. I’d say a good place to hang out with friends. As such the place is self-service, which makes it lovely for a quick meal. There are computer screens to place the order very quickly. They also give you a small buzzer, which vibrates when your food is ready. I absolutely loved the baos here. Bao was very soft. Lamb bao was exceptionally good. 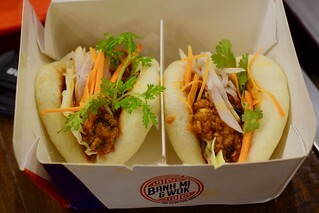 The flavours of ground lamb in red curry paste were just right, and the bao was very soft making it amazing. 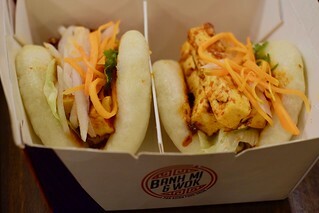 The vegetarian counterpart, paneer bao was good quite good as well. 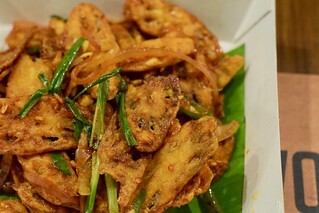 Paneer with hints of Taiwanese marinade tossed in scallions and peanuts had a lovely taste. I will highly recommend all the baos here. I fell in love with the crispy lotus stems. They were perfect in terms of texture and taste. 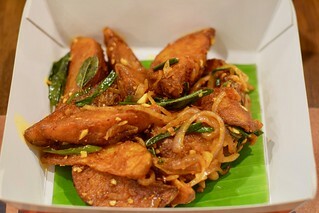 Potato wedges with green chilly and curry leaves is a pretty good vegetarian option. 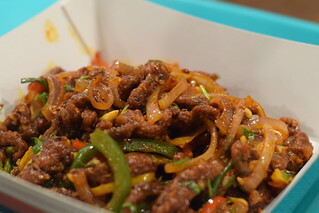 From non-vegetarian starters, I liked wok tossed crispy shredded lamb with cumin. I found prawn tempura a bit light on flavours. 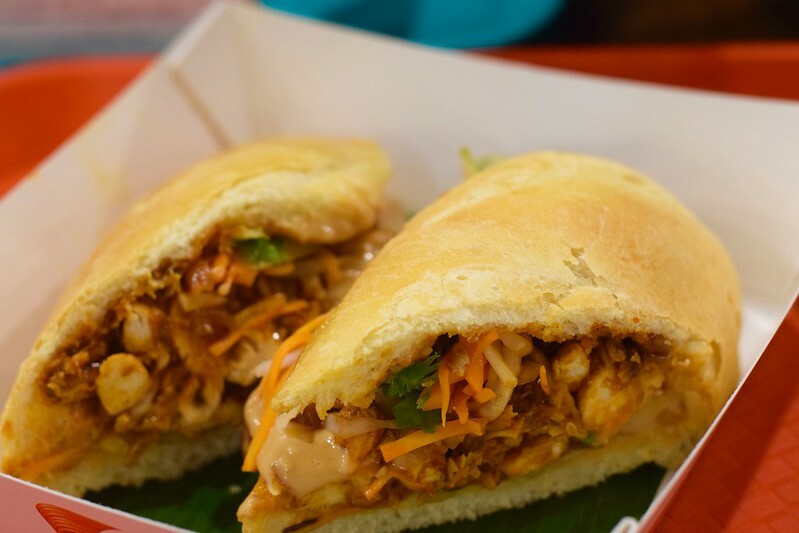 We tried the vegetable char grilled banh mi and pulled chicken banh mi. It is essentially a Vietnamese sandwich. While I liked the flavours in it, I found the bread to be a bit dry. I liked the sambal. 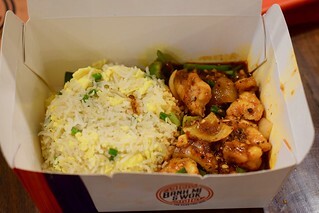 Stir-fried fish with sambal sauce with egg fried rice on the side. The flavours were good. I would have liked a bit more of curry on this though. 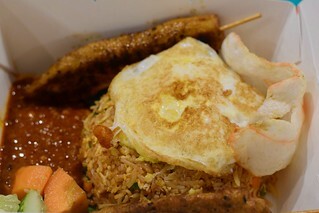 Nasi goreng, the traditional Indonesian stir-fried rice was decent as well.
. I don’t know why I insist on trying soups and salads at places. I am not even a healthy person. 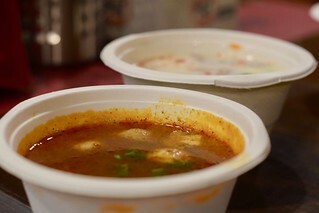 But I liked both tom yum and tom kha soups here. 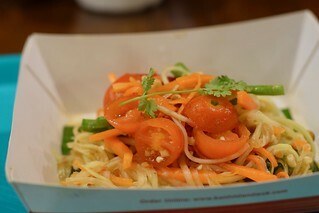 Raw papaya salad was a bit of a miss though. Would have liked a bit more a punch on this one. We tried Tab Tim Krob, which is sweetened water chestnuts in chilled coconut milk. 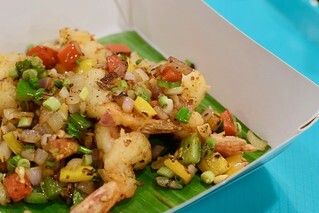 It is a Thai delicacy and it was beautifully executed. 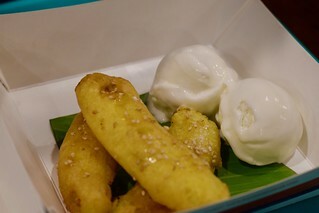 Another option was fried banana with vanilla ice cream, which is also a Thai dessert. Also a good option independently, but Tab Tim Krob was so much better.